Ian Bain is VP of Corporate Communications for 7.ai, a leader in intent-driven customer engagement. Previously, he led global communications for Equinix, and prior to that, led global corporate communications for McAfee and Intel Security. He spent more than 15 years on the agency side working with a wide range of tech companies including Adobe, Sybase and Sun Microsystems. 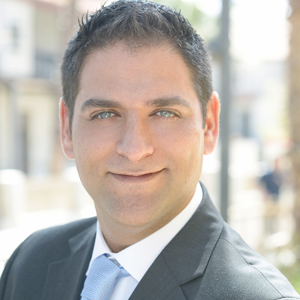 Omer is AgilOnes founder and CEO. He holds a Ph.D. in Computational Neuroscience and was a consultant with McKinsey & Company, consulting high-tech and retail companies on strategy development. He specialized in analytical areas such as pricing, direct marketing, customer segmentation. 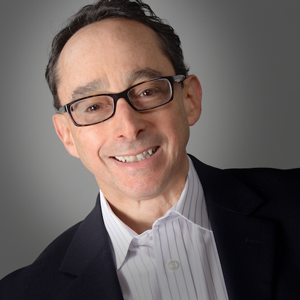 Omer was an Adjunct Professor of Marketing at NYU Stern School of Business, teaching graduate-level relationship marketing and analytical marketing courses. 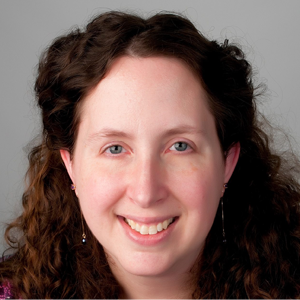 Lisa Michaud is the Director of Natural Language Processing (NLP) R&D at Aspect Software, where she has been a central part of their program to create an intelligent customer self-service chatbot platform. She has more than 20 years of research experience in the field of Natural Language Processing. She holds a PhD in Computer Science and has been published in multiple international journals, workshops, and conferences in the fields of user-adaptive interaction and Computational Linguistics. Mukund Srigopal is the Director of Marketing for the Digital Worker Ecosystem at Automation Anywhere, where he launched Bot Store, a marketplace for digital workers and Bot Games, a global hackathon series for developers. He has a strong background in scaling entrepreneurial ventures, having held engineering, product management, business development and product marketing roles at numerous startups including Vistapointe, acquired by Brocade Communications in 2014. Mukund earned an MBA and an MS in Information Systems from Boston University, and is based in the San Francisco Bay Area. 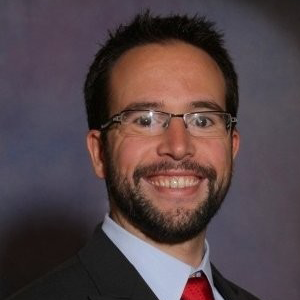 Jon Alperin leads the Avaya DevConnect program--Avayas global developer and technology partner program--leveraging a background as an application developer, solution architect, and product manager for the telecom and high-tech industries. Most recently, hes been busy launching Avayas A.I.Connect initiative, creating an ecosystem of AI-powered partnerships that extend and expand the application of artificial intelligence and machine learning in the contact center and unified communication spaces. Since joining Avaya in 2001, he has also supported the company with roles in corporate strategy, marketing and alliance development. Taly brings more than 20 years of experience leading business development, partnerships and sales organizations. A strong believer in growth through building trusted relationships with strategic partners, she has successfully led comprehensive go to market initiatives with both Fortune 500 companies and startups. 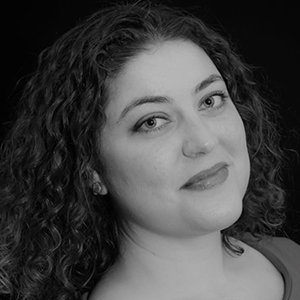 Prior to joining Ayehu, Taly was Vice President of Business Development and Strategic Alliances at Uptima where she led the companys 100% year-over-year growth for 3 consecutive years. Taly was Israels Windsurfing Champion as well as a World Windsurfing Championship bronze medalist. She brings to her work the passion, energy and discipline of an accomplished athlete. David Hyman is President of the Center for Technology & Workforce Solutions (CTWS), a new think tank dedicated to both expanding and diversifying the technology workforce by helping every American understand that a tech career is available to them, regardless of background and educational level. 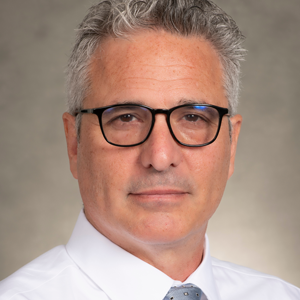 Mr. Hyman took a non-traditional route to becoming a professional with a mixture of community college, online education, in-person education, trade work, and entrepreneurship. He has spent the past 20 years as a teacher and administrator, serving students from Pre-K through 12th grade. 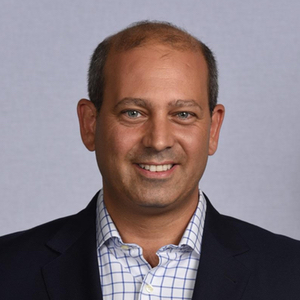 Eran is the head of Cisco’s Thought Leadership practice and the Executive Director of Connected Futures, Cisco’s research-based publication for the C-suite. He directs original market research, analysis, and reporting, to help executives understand how technology shapes industries and economies and creates a competitive advantage. Eran joined Cisco in 2008 to lead regional strategy and business development, working with global leaders to help them take on a new digital journey to become more competitive and capitalize on business opportunities.Before joining Cisco, Eran served as a Director of Product Management at Nokia, where he led the definition of the company’s multiservice access solutions. Started at fast-paced cyber-security startups, he brings 20 years of experience in setting business growth strategies. Today at Cisco Eran oversees market research and analysis, thought leadership publishing, and C-suite marketing and events. 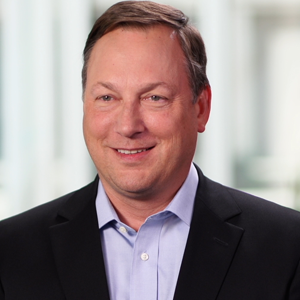 Stan Black, CISSP, is the SVP and Chief Security and Information Officer at Citrix where he is in charge of the secure delivery of applications and data. Black has merged the role of CIO with CSO to create one larger global technology and security organization. By doing this, he is breaking down traditional IT silos, transforming his organization from a traditional IT shop into a more strategic technology and security team that proactively defends information and mitigates threats. Black and his team stop 54 billion attacks per quarter. His organization also monitors the global threat landscape and manages incident response and physical security to protect the safety of Citrix employees. Black is a seasoned security veteran with more than twenty years of experience in cyber security, reducing business risk, threat intelligence, corporate data protection, infrastructure simplification and crisis management. Past positions include Chief Security Officer at Nuance Communications, and Chief Risk and Security Architect at EMC and RSA. His experience has provided him the opportunity to deliver durable security and risk solutions to global 1000’s, countries and public agencies around the world. In 2018, he was named a Cyber Security Excellence Awards Gold Winner. Black holds a BS in Manufacturing Engineering from Wentworth Institute of Technology. 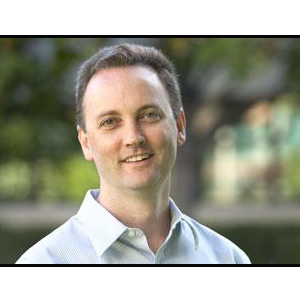 BEN PRING is the co-founder and Managing Director of Cognizant’s Center for the Future of Work. He is a co-author of the best-selling and award winning books, What To Do When Machines Do Everything (2017) and Code Halos; How the Digital Lives of People, Things, and Organizations are Changing the Rules of Business (2014). Ben joined Cognizant from Gartner where he spent 15 years researching and advising on areas such as Cloud Computing and Global Sourcing. Prior to Gartner Ben worked for a number of consulting companies including Coopers and Lybrand. Ben sits on the advisory board of Harvard Law School’s Labor and Worklife Program and was a Bilderberg 2018 participant. 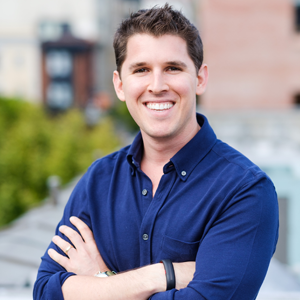 Dan started his tech career building the AdWords Inside Sales team at Google under Sheryl Sandberg. After Google, he joined AdRoll as the Vice President of Sales, scaling its global sales and support teams. This early exposure to sales organizations highlighted the critical need for businesses to understand their sales and support conversations in real-time, and became Dans catalyst for joining the team at TalkIQ as CEO & President. 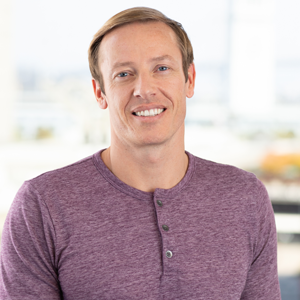 In May, Dan spearheaded the acquisition of TalkIQ by Dialpad, and now serves as a board member and Chief Strategy Officer, where he partners across all business functions to define and drive Dialpads strategic direction and product vision for the future of work. 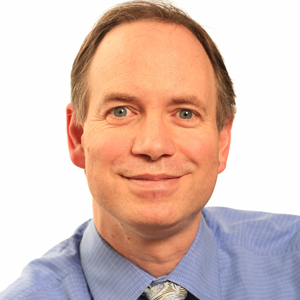 Dr. Peter Putz is a management scientist and internationally experienced manager of R&D software projects. Born in Austria, he spent the last 15 years in California. He was a senior scientist at the NASA Ames Research Center where he managed 15+ software projects in the Collaborative and Assistent Systems Area. Before joining NASA, Peter was a member of research staff with the Palo Alto Research Center (PARC). In 2015, Peter and his family moved to Austria and made their home in Linz.Dr. Putz is a certified project manager and experienced in leading international teams of scientists and engineers. He is accomplished in managing the full life-cycle of complex innovative IT solutions including operations and customer service. 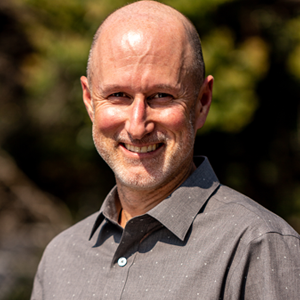 In his academic research Peter has focused on evaluation of management systems, knowledge management, organizational learning practices and human recources management. His recent interest is in data science. Peter is a seasoned teacher and trainer and has developed and published novel curricula and learning solutions. 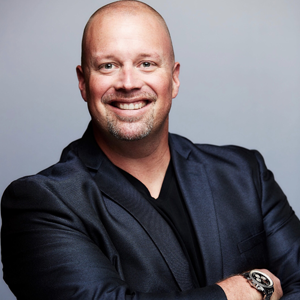 Founder & CEO , Empty Cubicle, Inc.
An entrepreneur focused on driving change and improving corporate efficiency, Eric is the Founder & CEO of Empty Cubicle; the worlds first verified job platform. Eric is the force behind the corporate vision of the company, changing the way organizations hire world-wide, and filling a recognized gap in the hiring process. With the launch of Empty Cubicle’s proprietary technology, Eric has created disruption in the HR space, drastically reducing the amount of time companies spending sourcing and vetting new hires.In addition to his role at Empty Cubicle, Eric is a sought-after keynote speaker and author, delivering speeches on business and technology topics around the world. His thoughts have been featured in The Globe and Mail, Entrepreneur Magazine, Fox Business, The Motley Fool and Huffington Post. Eric sits on the Microsoft Cloud Advisory Board, acts as a Judge for the Microsoft Imagine Cup as well as a Mentor for Futurpreneur Canada. He is also a 6-time recipient of the SharePoint MVP award and was named one of B2BNN’s 2016 HR Influencers. 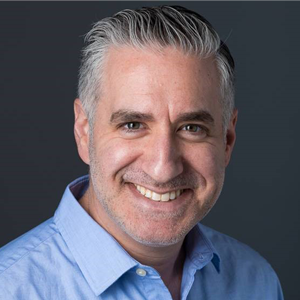 Scott Kolman is the Vice President of Product Marketing at Five9 with responsibility for the overall positioning and promotion of the Five9 product portfolio. 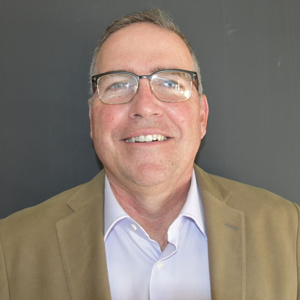 Scott has an extensive background in technology marketing and is a recognized professional with expertise in the contact center, cloud and customer experience industry. 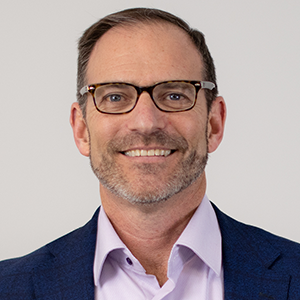 Prior to joining Five9, Scott held marketing leadership positions at Genesys, Synchronoss Technologies, SpeechCycle, Amdocs, Lucent Technologies and Octel Communications. Scott if a frequent speaker at industry conferences and events as well as a prolific blogger. Bishnu has a flair for all things Cloud technology, Big Data and APIs. 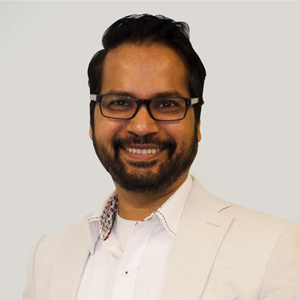 Bishnu is the CTO of FixStream, an emerging AIOps startup in Silicon Valley where he guides FixStream’s overall technology, product strategy and roadmap, R&D and engagement with technology partners, enterprise customers and service providers. 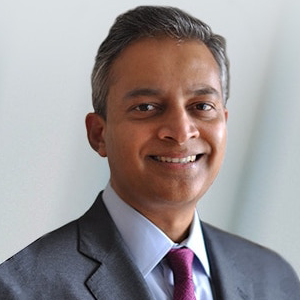 Prior to FixStream, Bishnu spent thirteen years at AT&T in various executive architect and strategist positions. While in AT&T, he has led AT&T Big Data Platform strategy and delivered a Cloud Big Data PaaS using Openstack and Hadoop. Prior to that, Bishnu led the AT&T Cloud Computing Center of Excellence with a large team of cross-organization SMEs to develop the company handbook for “Applying Cloud Architecture and Principles” and a broad set of operating practice papers covering cloud fundamentals, practices, policies, governance, design patterns and guidelines for cloud applications and service delivery. 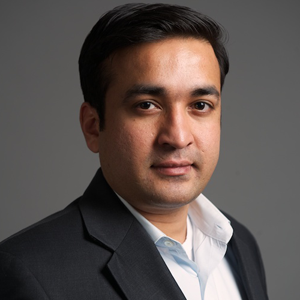 Bishnu has also led AT&T Mobile Center of Excellence (MCoE) to deliver a PaaS for development and testing of mobile applications across platforms and devices using a common set of tools, standards and practices. Additionally, Bishnu successfully delivered solutions architecture for AT&T U-Verse mobile, AT&T Developer program, API monetization, M2M Billing, mHealth and LTE monetization etc. He was also heavily involved in AT&T Foundry innovation program and adoption of Agile methodology for software delivery in AT&T. Bishnu is very passionate about cutting-edge technologies and is very active in various industry recognized communities, blogs and forums. Due to his technology influence and presence in the industry, he was invited to become a member of the Forbes Technology Council (ForbesTechCouncil.com) where he has been actively participating and contributing since 2016.When Bishnu is not busy researching and experimenting the latest cool technologies, hes a gourmet cook in the kitchen and is an avid St louis Cardinals baseball fan. Ashok is FogLogic’s co-founder and CEO. 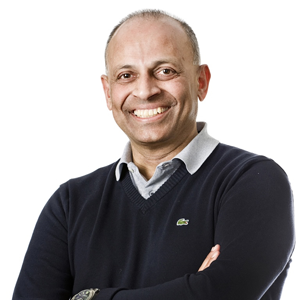 A seasoned entrepreneur and enterprise software executive, Ashok was most recently CEO of Bristlecone, which he transformed into a leading global systems integrator in supply chain management solutions. 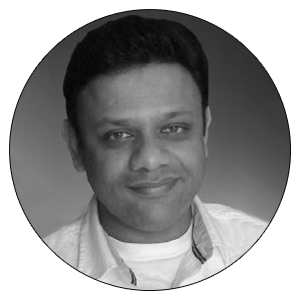 Prior to Bristlecone, Ashok was Senior VP, Worldwide Field Operations at Epiphany, a leader in marketing analytics software. Earlier, he founded and was CEO and Chairman of Inventa Technologies, a pioneering leader in B2B e-commerce solutions. Ashok has a BS from IIT Madras and an MBA from Harvard Business School. Will Houston is a 20+ year veteran of the IT world, having served at a number of companies after beginning his career at IBM. He has held senior positions as both the seller and acquirer of technology solutions, as well as in business analysis, project management and finance. He leverages these skills to understand nascent technologies, determine how they can provide value, and develop the business cases that drive adoption. He holds a dozen US patents and has published numerous works, principally focused on streamlining IT operations. He holds undergraduate degrees in Electrical Engineering and Computer Sciences from Duke University, and an MBA in Management of Technology from RPI. A member of the Union League of Philadelphia, Will lives in New Jersey with his family and is an avid basketball player. 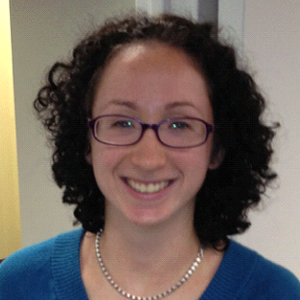 Katie Fritsch is the Marketing Manager for InfoSight at HPE. Katie most recently led the marketing for the deep learning startup, Nervana Systems, up until their acquisition by Intel in 2016. 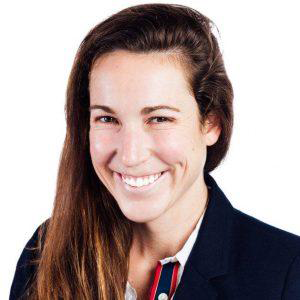 Previously, she was the Global Leverage partner for Palantir Technologies, and the first user experience data analyst for the autonomous vehicle project at Google X. Katie is a consummate and dedicated lifetime athlete. An avid swimmer, she set 5 NCAA Division 1 school records and secured qualification to the US Olympic Trials. In 2016, she qualified for World Championships in Ironman, and recently, she started competing in ultra-marathons. Nick Cromydas is the CEO and Co-Founder of Hunt Club, a tech-enabled recruiting service based in Chicago that specializes in helping hiring managers and decision-makers find the best passive talent. 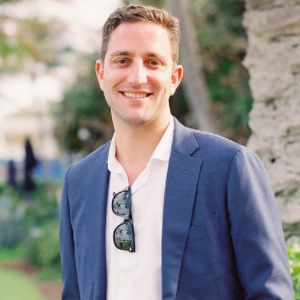 Cromydas is also the Co-Founder of New Coast Ventures, an innovation studio and boutique venture capital fund focusing on early-stage investments. He was named to Forbes 30 Under 30 in 2016. Doug leads the Security Architects for IBM North America, coaching that talented team as they mature and grow their skills in a evolving and dynamic field. As a practicing architect, he helps security and business executives across many industries manage risk and secure strategic initiatives.Dough earned a Bachelor’s degree in Computer Science, Anthropology, and Psychology, and a Master’s degree in Engineering Management from the University of Colorado, where he served on the advisory board for the Engineering Management program. Doug has authored patents, papers and books on subjects ranging from photographic lighting and human factors to architecture governance and 3D painting for fine art. 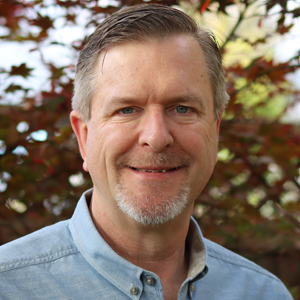 Doug is in demand as a speaker on cybersecurity for executive, business, security and end-user audiences.An avid out-doors-man and photographer, Doug lives in the Colorado forest with his wife and their four-footed and hoofed children. He spends as much of his time as he can not doing security work in the Rocky Mountains. 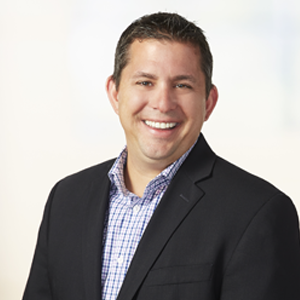 Nick Bilogorskiy leads cybersecurity strategy at Juniper Networks. As a founding member at Cyphort, which was recently acquired by Juniper Networks, Nick created and led the Cyphort Labs Threat Research team. He also played a critical role designing Cyphorts malware detection logic and product user experience. Prior to Cyphort, Nick was chief malware expert at Facebook and also held security research leadership positions at Fortinet and Sonicwall. 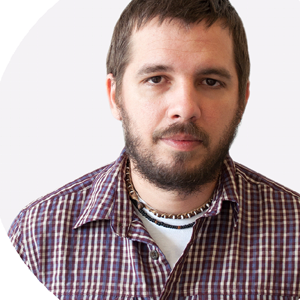 Nick is fluent in reverse engineering, analysis, pattern writing and malware tracking. He has presented and published research papers at major security conferences including Virus Bulletin, ISACA and SecureWorld. Nick holds a Bachelor of Science degree in computer science and philosophy from Simon Fraser University and a GIAC Reverse Engineering Malware (GREM) certification, as well as multiple patents in computer security. Frank Yue is a technology evangelist that translates products and technologies into business needs and values. Mr. Yue looks at the evolving technology landscape and how it impacts IT architectures and organizations. He writes blogs, produces white papers, and speaks at conferences and events related to application networking technologies. Mr. Yue has over 25 years of experience building large-scale networks and working with high performance application technologies focusing on optimizing end-to-end application access. Mr. Yue is currently a Solutions Architect for Kemp Technologies and has had various technical and marketing roles for application networking and security companies. Mr. Yue is a scuba diving instructor and background actor when he is not discussing technology. Haim is the CEO and co-founder of Knowmail. He has vast experience in the corporate world including sales, marketing, leadership, business development, and strategy. Realizing the growing pain of workplace communication first hand, he has set out to build a solution to fix it with Knowmail. Marcel Chenier is CTO and Vice-President of Engineering for KodaCloud where he brings 35 years of technology experience in the field of public and enterprise wireline, wireless and cloud networking. In his role, he is responsible for technology direction, product implementation and customer support. Previous to KodaCloud, Marcel lead product architecture for the WLAN portfolio and Small Cell Plug&Play Solutions at Ericsson. Prior to Ericsson, Marcel was Vice -President of engineering at BelAir Networks, a WLAN carrier-class small-cell equipment provided which was acquired by Ericsson. Prior to BelAir, Marcel was head of engineering at Zhone Technologies Canada from early company stage to IPO responsible for voice and video packet products. As VP of R&D for Premisys, a smart DLC equipment provider, Marcel was part of the leadership team that lead the acquisition by Zhone. 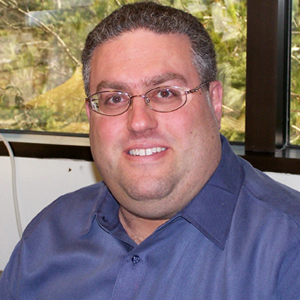 Marcel started his career with Nortel Networks working on silicon, hardware and software research and development and as an R&D Executive for the Signaling System Product Line. 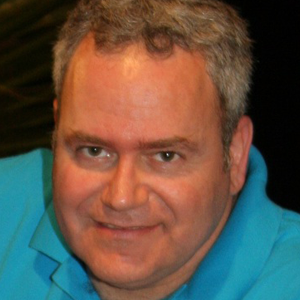 Marcel is a co-inventor on several patents in the area of wireless networking architecture. 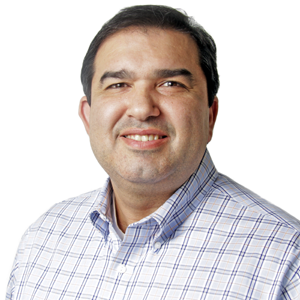 Santiago is a technology expert with a great passion and experience architecting and implementing enterprise, high performance, and scalable software solutions. He’s had the opportunity to lead and help build applications for companies like IBM, Dell, HP, Cisco, Emerson, HSBC, and Nasdaq, among others. Besides this, he spends most of his time thinking about artificial intelligence, machine learning, and software engineering while helping to grow the amazing team that works with him. Santiago is currently finishing his M.S. in Machine Learning from Georgia Tech and holds a Bachelor’s degree in Computer Science from his native Cuba. In his role as Vice President of Product, Gadi is responsible for the companys strategic vision and product initiatives. 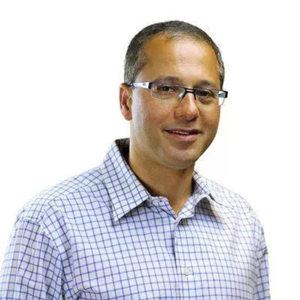 Previously, Gadi was the CEO and Co-Founder of ITculate, where he was responsible for developing world-class technology and product that created contextual monitoring by discovering and leveraging application topology. 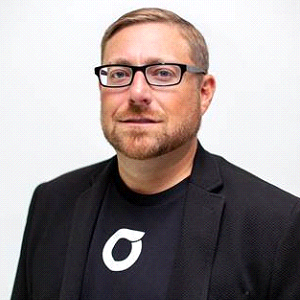 With over 18 years of industry experience from IT operations management and monitoring to storage and cloud, Gadi previously served as the CTO and Co-founder of Cloudoscope. 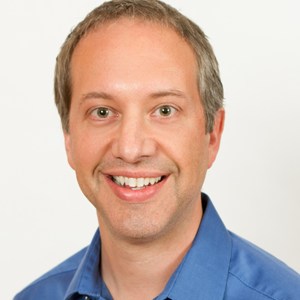 Prior to Cloudoscope, Gadi was head of Product Management for analytics and manageability BU at NetApp. He served in leadership roles for some of the fastest growing and industry-transforming companies. Gadi has a management degree from Sloan MIT and B.Sc. Eng. in computer science and electrical engineering from the Technion in Israel. 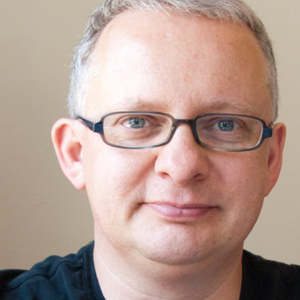 Chris Savio is a Senior Strategy Manager for LogMeIn’s Support Solutions business. He and his team help shape the product direction, and own the development and implementation of the go to market plan for Rescue and Prompt ai. Prior to his current role, Chris worked as an evidence-based consultant helping clients develop and enhance product offerings, and compile actionable customer insights. Paul has over 30 years’ experience in data and telecommunications protocols, products and network design – spanning arcane details of SDLC links right up to multi-national IMS and architectures.As VP Product Strategy, Paul co-ordinates roadmap and strategy across the entire portfolio of Metaswitch products, with particular emphasis on Cloud and Automation. Having previously managed our global SE team, working closely with carriers of all sizes, and in all markets and geographies, he has the in-depth real-world knowledge and experience necessary help operators to fully exploit the ever-accelerating pace of change in technology and end-user expectations.Paul joined Metaswitch in 1986 after studying Mathematics at Cambridge University. 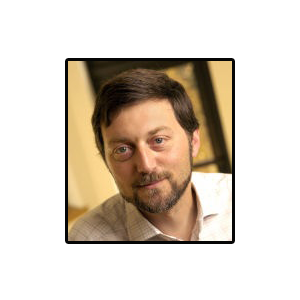 He is the author of, or major contributor to, several IETF RFCs, multiple white papers, and patents covering everything from protocols deep in the network to innovative user experiences for multi-modal communications. When not at work, he can most often be found sailing around the Scottish islands. 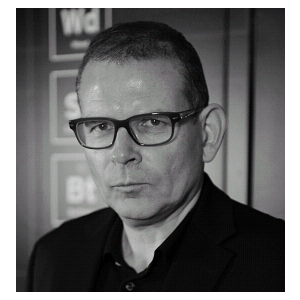 Mr. Jensen is the Co-Founder and CEO of Netrolix. He is a forward thinking evangelist of artificial intelligence, data science and machine learning. 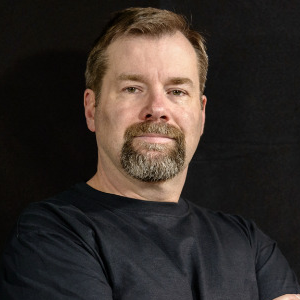 Mr. Jensen has over 20 years of experience leading technology, network engineering and service organizations responsible for designing, installing, and maintaining compute, IT, security and connectivity infrastructures for Fortune 500 enterprises and service providers. He has had held technical leadership positions at CenturyLink/Level 3, Global Cloud Xchange, XO/Verizon, and more. Prior to entering private enterprise Mr. Jensen served in Special Operations in the U.S. Army. 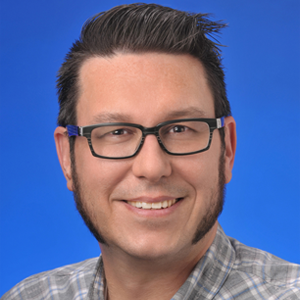 Chris Bauserman is VP, Product and Segment Marketing at NICE inContact, a NICE company. 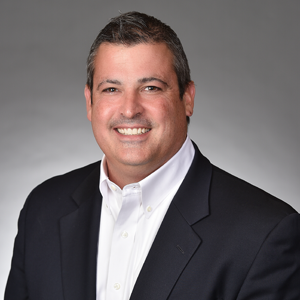 Chris has successfully driven technology strategy and go-to-market growth initiatives for software startups and large enterprises over the past 20 years, focusing on solutions that help organizations improve customer experience. He currently leads product marketing and market intelligence for NICE inContact, a leader in cloud contact center software. Anand Srinivas is the Chief Technology Officer and Co-Founder of Nyansa, a user performance management and network analytics company in Palo Alto, Calif. Prior to starting Nyansa in 2013, Anand was an SDN/NFV Consultant for Overture Networks, and prior to that, he was the Lead Algorithms Architect at Plexxi Inc., responsible for core contributions to SDN system architecture, algorithmic architecture and protocol/API design. 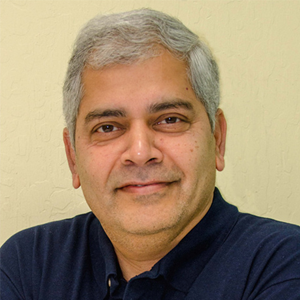 Earlier in his career, Anand worked as a Senior Systems Engineer and Principal Engineer for Airvana, where he was responsible for detailed algorithm specifications for LTE product differentiators. Anand holds a B.A.Sc in Computer Engineering from University of Toronto. He also holds an S.M., Dual in EECS and Aero-Astro and a PhD in Wireless Networking and Algorithms from MIT. 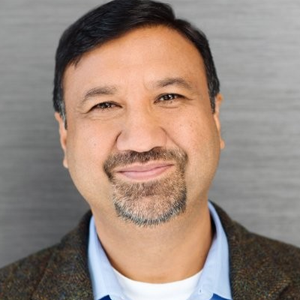 An industry veteran with deep background in software for IT Operations, Bhanu comes to OpsRamp from BMC Software where he managed the R&D and Customer Engineering organization for the entire Digital Service Management business (Remedy product line, Atrium CMDB, Remedyforce, and BAO) for 6 years, a $500M+ business unit with $50M+ R&D budget. He was responsible for covering all aspects of software development, delivery and maintenance. Bhanu was instrumental in hyper growth of the DSM business and was instrumental in pivoting the product and business into cloud. During this time he was key initiator in many acquisitions and integration of technology and business units on the Remedy ITSM solution and DSM organization. Most recently, he was the brain and driver behind transforming BMC Remedy AR System platform and BMC Atrium CMDB from a C/C++ client/server architecture to Open Source Web 2.0 SOA architecture using Java/OSGi/Spring technology stack – The platform was released in 2015 as Remedy 9. The platform transformation laid the foundation for the future of multi-cloud, multi-channel and multi-device innovation in the BMC’s DSM strategy by bringing open-source microservices architecture and an integrated technology stack together.Bhanu holds a Master in Software Engineering and Bachelor in Computer Science & Engineering. He holds executive management degrees in business administration and certification in project management, Agile Scrum, Six Sigma green belt and ITIL. 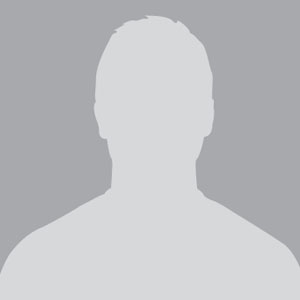 Rajan Krishnan is a group vice president in Oracle product development. He is responsible for outbound product management for Oracle Cloud applications across enterprise resource planning, supply chain management, human capital management and customer relationship management. Prior to this role, he was vice president for Oracle industry CRM products. He came to Oracle via the Siebel acquisition in 2006. Krishnan has more than 25 years’ experience in product development, product strategy, product management, marketing, and sales across the information technology and pharmaceutical industries. Krishnan holds an MBA from the IMD business school in Switzerland, a post-graduate diploma in international trade from the Indian Institute of Foreign Trade, and a B-Pharm with honors from the Birla Institute of Technology and Science in India. Srinivas Mukkamala is one of the Co-founders and CEO of RiskSense a cyber security Spinoff of New Mexico Tech. 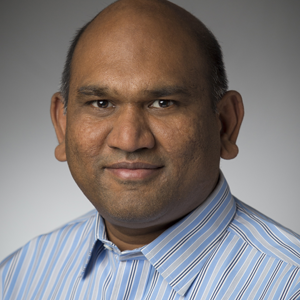 Srinivas has been researching and developing security technologies for over 15 years, working on of malware analytics (focuses on medical control systems and nontraditional computing devices), breach exposure management, Web application security, and enterprise risk reduction. 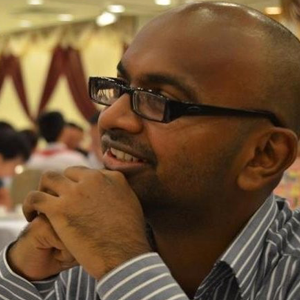 Srinivas was one of the lead researchers for CACTUS (Computational Analysis of Cyber Terrorism against the US). Dr. Mukkamala has over 120 peer-reviewed publications in the areas of information assurance, malware analytics, digital forensics, data mining, and bioinformatics. He has a patent on Intelligent Agents for Distributed Intrusion Detection System and Method of Practicing. John Byrnes, Ph.D., is a principal computer scientist in the Advanced Analytics group of the Artificial Intelligence Center at SRI International. His research focuses primarily on statistical pattern detection as a technique for the discovery of hidden structure in large amounts of data. He applies these techniques to the self-organization of collections of natural language text in support of machine understanding of language. He has also applied pattern recognition techniques to formalized knowledge and is interested in automated machine reasoning.Byrnes is currently a principal investigator on multiple projects involving the analysis of scientific and technical publications and patents in order to track and forecast the emergence of technical capabilities and to carry out retrospective analyses of technical achievement.Prior to joining SRI in 2009, Byrnes carried out research at Fair Isaac Corporation including the application of natural language clustering techniques to automate the generation of proof plans for automated reasoning and novel language compression techniques to develop content-based routing at fiber-optic data rates. 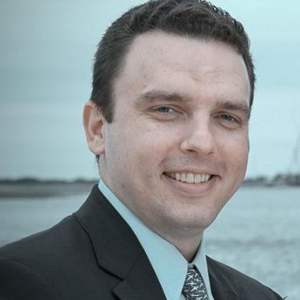 He researched novel signal processing representations and algorithms at Kromos Technology from 2000 to 2002.Byrnes holds a BS in mathematics and a Ph.D. in pure and applied logic from Carnegie Mellon University. Monica Bragle is the Manager of Customer Success at TeamSupport, a B2B customer support software company. After completing her degree in Psychology at University of Dallas, Monica has spent her career working for small and growth stage companies looking to expand their customer focus. 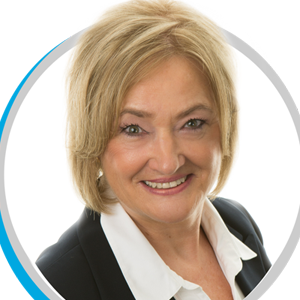 At TeamSupport, she leads the success professionals who guide their customers from sign up, to adoption and work with them to achieve their support goals. Her customer obsession goes hand-in-hand with her ongoing quest for knowledge and professional development. If there is an opportunity to provide a better customer experience or help develop her team, she is eager to jump in right away. 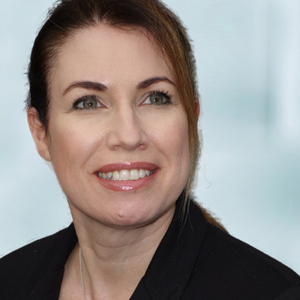 Amy Burford is Vice President of Business Development for Verint’s Intelligent Self Service business unit, working with Verint’s Fortune 1000 customers along the East Coast. Amy helps organizations visualize how to leverage today’s next-generation technologies to simplify, modernize and automate operations, to reimagine customer engagement. Based in Naples, Fla., and an industry veteran with more than 10 years of experience in the contact center space, Amy has an undergraduate degree in marketing from Bradley University and a master’s in business administration from DePaul University. Omar Tawakol (linkedin.com/in/omartawakol/) is CEO and Co-Founder of Voicea, a voice collaboration platform that leverages artificial intelligence to make meetings more productive. Prior to Voicea, Omar was the Founder and CEO of BlueKai which built the largest digital consumer data marketplace and DMP. 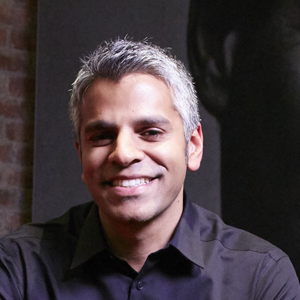 After Oracle acquired BlueKai in 2014, Omar became the SVP of the Oracle Data Cloud whose data was used by 97 of the top 100 marketers. Omar earned an MS in computer science from Stanford University and a BS from MIT. Omar has been a keynote speaker and guest lecturer at the DMA, Cannes Lions Festival of Innovation and the Stanford MBA program. 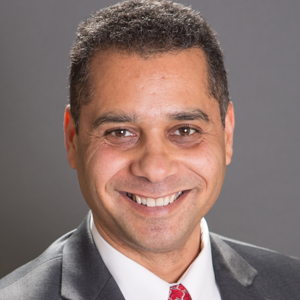 As Senior Director, Product Management for Vonage, Bryan Stokes focuses on delivering synergistic products combining the Company’s UCaaS and CPaaS technology. 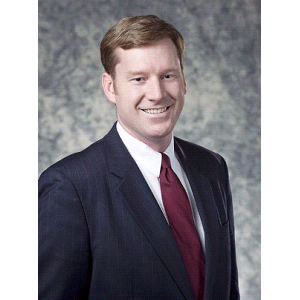 Bryan joined Vonage in 2009, serving in several leadership roles during his time with the Company. 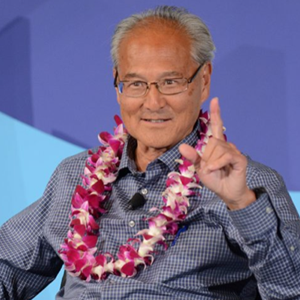 Most notable achievements during his tenure include building a project management group in customer care, leading the digital customer self-service team, and launching several of Vonage’s consumer-facing products. Prior to joining Vonage, Bryan held several technology-related roles at ad agencies, large and small, including Google subsidiary DoubleClick, as well as start-up companies in the corporate legal and political fundraising arenas. Bryan holds a Bachelor of Arts degree from Rutgers University. 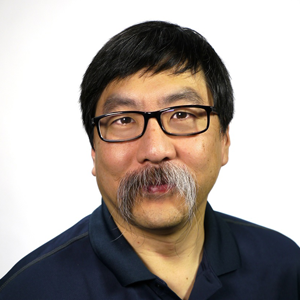 Gary Kim is a communications industry analyst of 35 years, ranked second globally among power influencers in mobile and among the top 10 telecom thought leaders. He currently works as a telecom/Internet conference content developer, author and speaker. He recently founded the Spectrum Futures conference for the Pacific Telecommunications, acts as a conference advisor for PTC and has organized, chaired or keynoted at scores of industry conferences. He is a member of Mensa, the international organization for people with IQs in the top 2 percent. Jon Arnold is Principal of J Arnold & Associates, an independent analyst providing thought leadership and go-to-market counsel with a focus on the business-level impact of digital transformation in the workplace. 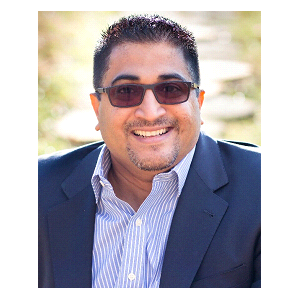 Core areas of expertise include unified communications, cloud services, collaboration, Internet of Things, future of work, contact centers, customer experience, video, VoIP, and social media.He has been consulting in many of these areas since 2001, and his independent practice was founded in 2005. JAA is based in Toronto, Ontario, and serves clients across North America as well as in Europe. Jon’s thought leadership can be followed on his widely-read JAA’s Analyst Blog, along with daily commentary on Twitter and Linked in. His thought leadership is also regularly published across the communications industry, including BCStrategies, Ziff Davis, No Jitter, TechTarget and Internet Telephony Magazine. In both March 2017 and January 2016, Jon was cited among the Top Analysts Covering the Contact Center Industry, and also in 2017, Jon has been cited as a Top 10 Telecom Expert, and Six Business Communications Thought Leaders to Follow. Previously, GetVoIP.com named Jon a Top 50 UC Experts to Follow in 2015, as well as a Top 100 Tech Podcaster in 2014. For JAA’s blog, it was recognized as a Top Tech Blog in 2016 and 2015, and has had other similar accolades going back to 2008.Additionally, Jon is a UC Expert with BCStrategies, a long-serving Council Member with the Gerson Lehrman Group, speaks regularly at industry events and accepts public speaking invitations. He is frequently cited in both the trade press and mainstream business press, serves as an Advisor to emerging technology/telecom companies, and is a member of the U.S.-based SCTC. 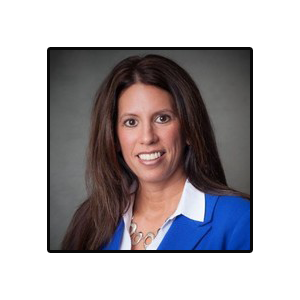 Paula Bernier is Executive Editor at TMC where she writes, edits and manages editorial content for INTERNET TELEPHONY, CUSTOMER, Cloud Computing, and IoT Evolution magazine. Shes also a regular contributor to Content Boost, and TMCnet and its various channels and communities. And she speaks and moderates TMC webinars. 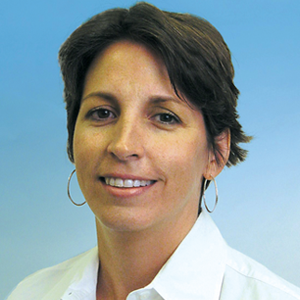 Bernier was formerly editor in chief of xchange magazine, where she worked for more than 11 years. She’s also acted as a senior writer for Inter@ctive Week. Bernier got her start in telecom at Telephony magazine, where she spent nearly five years, leaving as the news director. Bernier also has been on the reporting staffs of various mainstream daily and weekly newspapers in Iowa, Minnesota and South Carolina.